Read about it in the Telegraph! City Arts Nashua produced a major 40-foot by 35-foot full color historic mural on the wall behind the parking lot of TD Bank on the corner of Main and West Pearl. 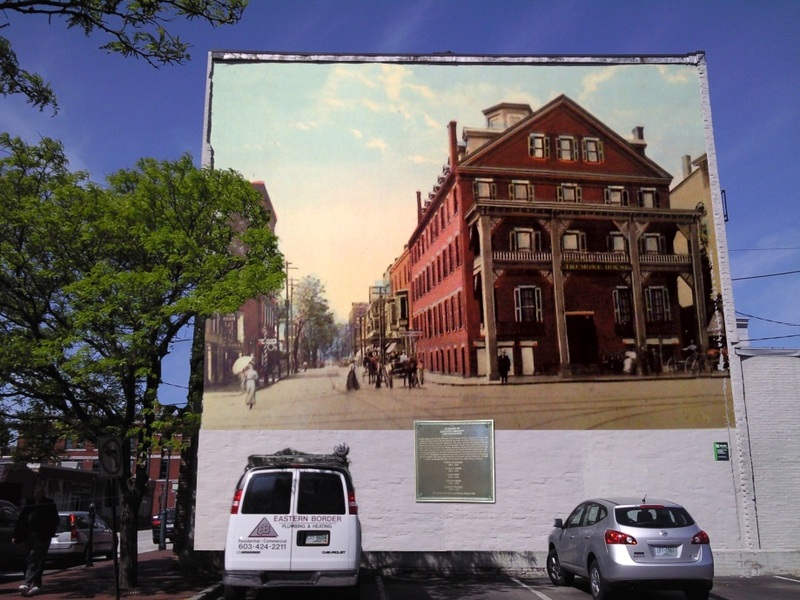 The public art project, painted by Nashua mural artist Barbara Andrews, brings a view of West Pearl Street in 1909 to a prominent 2013 downtown location. The West Pearl Street Mural enhances downtown Nashua and offer residents, businesses, restaurant patrons, shoppers and visitors an historic public art experience. In the 19th century, West Pearl Street was the commercial center of Nashua and became a thriving business area, home to many businesses started by Greek immigrants who originally came to Nashua to work in the mills. Until hotels were built around Railroad Square, the Tremont Hotel was the “place to stay” in Nashua. A plaque recognizing all the donors and explaining the historical significance of the mural is mounted at eye level under the mural. All donations from businesses, organizations and individuals are appreciated and are tax deductible. R. J. Finlay & Co.